In this brief article I take a look at a few interesting markets. EURUSD continues to trade sideways, but a break to the October low of 1.1429 might send the price towards the August low of 1.1299. Much like the EURUSD, the $GBPUSD remains trapped in a range. If the price manages to slide below the October low, the price might reach 1.2782, followed by 1.2666. While a break to the September high of 1.3307 might propel the price to the June high of 1.3472. Does the S&P 500 stand a chance? It looks to me that the price is carving out a head and shoulders pattern. 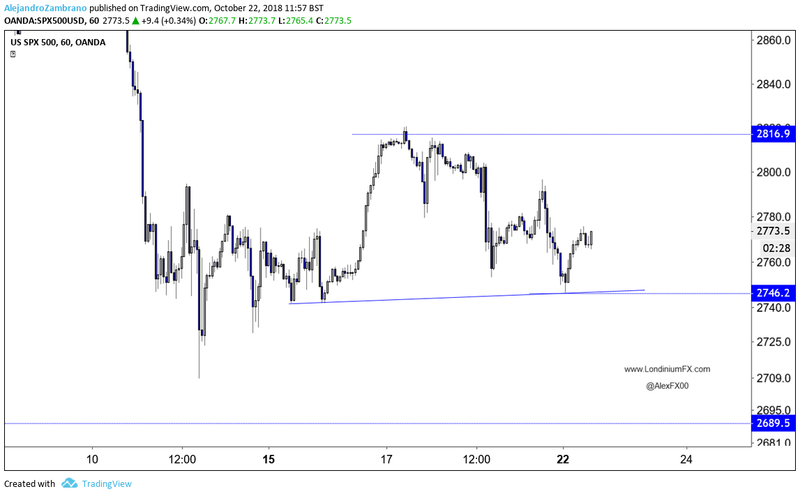 The DAX 30 is showing a similar pattern. In Asia, the Shanghai stock market composite is up by 4.09%, and the price is above the 2016 low of 2635. The rise has caused a bit of “risk-on” in some markets, but looking beyond the short-term price action the trend remains bearish below 2823.3. 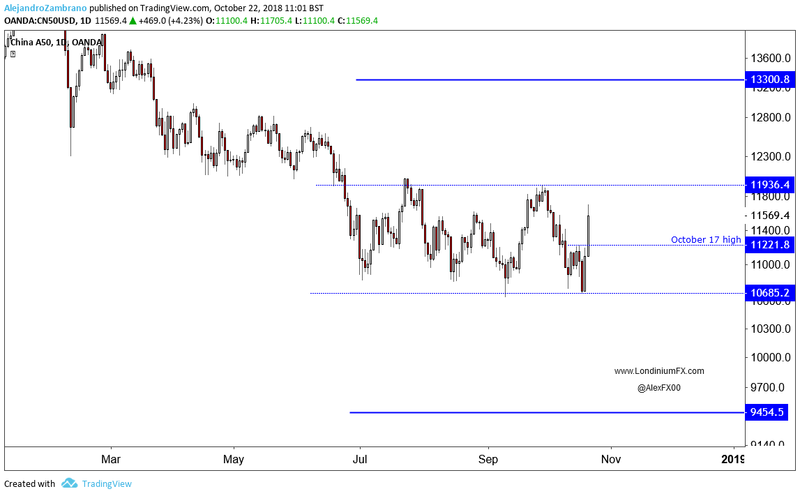 The rise of the China A50 index over the October 17 high of 11221.8 has dented the downtrend and spurred a bit of “risk-on” in financial markets such as the USDJPY. As projected over the last few days, USDJPY continues to drift higher. 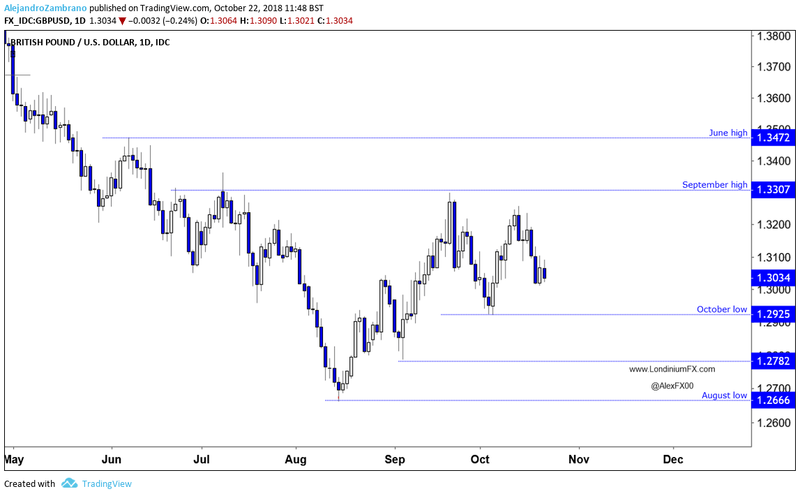 The short-term trend will remain bullish above the October 15 low of 111.58.